When do you say "Happy Birthday Malaysia?" Today is the 16th of September; the day when Malaysia was officially formed. It is declared as a national public holiday since the year 2010, to commemorate the day back in 1963 when the federation of Malaysia was formed; comprising of Malaya (11 states in the Peninsular), North Borneo, Sarawak and Singapore. Two weeks ago, Malaysia has also just celebrated her 58th Independence Day, on the 31st of August. A day when the country has finally gained her liberation; free from colonization and is finally on her own feet, beaming with pride and joy back in the year 1957, in an event marked by the symbolic shouts of declaration of "Merdeka" for seven times, by the first prime minister of the country; the late Tunku Abdul Rahman. The man who fought to free the country from the hails of colonization to the road of independence. The man who is also known to the Malaysians as the nation's Father of Independence (Bapa Kemerdekaan in the local Malay language). That first breath of freedom and the sense of autonomy on one's own land is just sweet. It is just like a 21-year old blowing off the candles on the cake; in the shape of a key, symbolizing that one is finally on their own; emancipated from control and is legally an adult. The National Day, or the Independence Day (previously also referred to as the Merdeka Day - translated to mean Independence in Malay, has been officially advised for discontinuation of its reference this year) is that day when Malaya is officially released from the realms of colonization. She is finally on her own feet and can walk freely on her grounds without the watchful eyes and rules of others. On the 31st August every year, every Malaysian would joyously celebrate as a nation to mark this occasion (and partly for the public holiday too) and the social media would be flooded with wishes of "Happy Birthday Malaysia" streaming in throughout the day; sometimes even before the day itself. It greatly shows that heartfelt sentiment, of joy and pride, of all the Malaysians towards the significance of the day itself. Then come today, the 16th of September, and again the "Happy Birthday to Malaysia" flocks and literally covers all the Facebook walls of your friends appearing on your news feed as though in an incantation; in repetition. It leaves a very huge question mark; one particularly to the non-Malaysians and sometimes even Malaysians are stupefied themselves as to the peculiarity of it all. Does that mean Malaysia has TWO birthdays? WHEN is the actual birthday of Malaysia? It may seem as though Malaysia is caught in her own web of complexity; with this ambiguity plaguing her own celebration, or her own identity in the name of liberty. 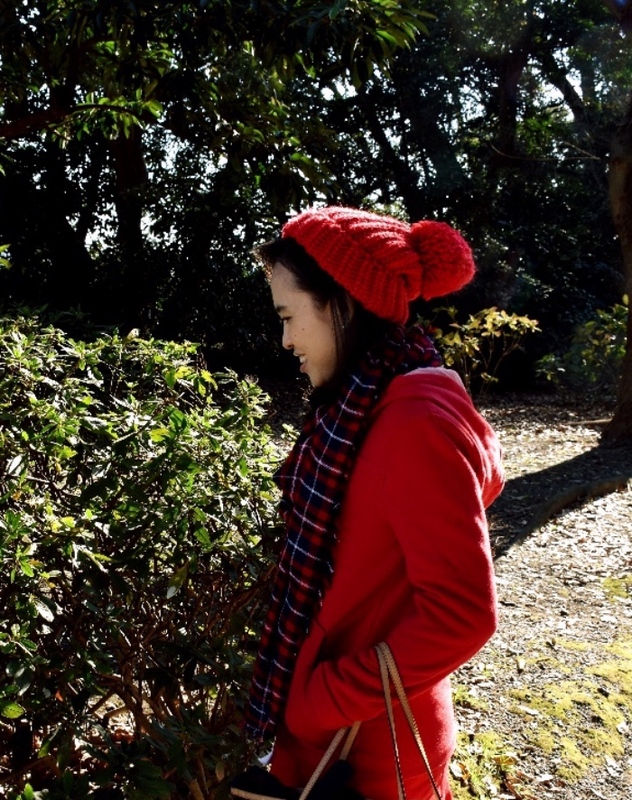 Much as it would seem tempting to spin it off with a case of the typical Chinese tradition of the Lunar birthday versus the Gregorian calendar birthday, this is just simply not the case. Many have taken to themselves to point out the facts, even to the extent of chiding others on their ignorance of not being able to differentiate between the two events; the country gaining independence and the official formation of the country. This initiates a list of arguments that ensued, with questions and arguments raised on the differences between these two days and reasons of justification for the celebrations. So, is it really wrong to wish Malaysia, "Happy Birthday" on the 31st of August, when that is the day that marks the independence gained by the nation? Should it be the 16th of September that is rightful for that birthday wish, then? I would say, technically, both are not wrong. However, if you are referring to the context in which the birthday wish is more befitting, then a little bit of historical facts could help to back the following justification. Take note of the year of the declaration of the nation's independence, way back in 1957. On the 31st of August 1957, it was independence for Malaya; and Malaya then consisted of what is actually known as the Peninsular Malaysia today. Sabah and Sarawak, known as East Malaysia today was not then included yet and they were still part of the British colonies. It was only this part of the nation; known as the West Malaysia or the Peninsular that had been freed from the colonial powers. It was only in 1963, that both Sabah and Sarawak were freed from the governing colonial forces. In fact, Sabah had also been celebrating her own Independence Day which falls on the the same date; the 31st of August (in 1963) and Sarawak, observes her own Independence Day too, on the 22nd of July (1963) all this while. While it appears as though we are a nation, are we, really, when there is the disparity of the different Independence Day observed among us? The 31st of August celebrated nationwide had been more significant only to the West Malaysia, for it had never included the East Malaysia which were then still not part of the nation. It was in 1961, when Lee Kuan Yew, then a young socialist leader who proposed to Tunku Abdul Rahman on the formation of Malaysia and together, the duo worked towards the vision of a sovereign nation. There was another proposal to form another federation which included both Indonesia and the Philippines; a proposal by Dr Jose Rizal, a Filipino national hero and a visionary leader who aimed to unite all the Malays in the region and simultaneously breaking the colonial boundaries dividing them then by forming the Maphilindo. Maphilindo was seen as a vision to form The Greater Malayan Federation (comprising of Malaya, Indonesia and the Philippines). However, the disputes that followed with the Philippines claiming that North Borneo (Sabah) as part of their region and Indonesia protesting that the formation of Malaysia was part of the British conspiracy; seemingly perceived as both nations' efforts to prevent Malaysia from achieving self-governance. The idea of the whole union (Maphilindo) was then dropped when Sukarno, the then President of Indonesia launched his policy of Konfrontasi (Confrontation in Indonesian language) against the newly formed Malaysia based on the grounds of beliefs that the formation of the federation would affect Indonesia's stability. The plan for Malaysia by Tunku Abdul Rahman on the 27th of May, 1961, included the union of Malaya, North Borneo, Brunei, Sarawak and Singapore. Lord Cobbold, the Governor of the Bank of England at that time and also chairman of the Cobbold Commission (named after himself), was tasked to survey the willingness and responses from the people in the Borneo region towards the idea of the formation. The findings revealed that while the Sultan of Brunei was supportive of the idea, the rest of Brunei were in strong opposition to join the union which led to the Sultanate of Brunei withdrawing from the proposed coalition. North Borneo drafted their own point-list; known as the 20-point agreement along with Sarawak's own proposal known as the 18-point agreement were their terms for the inclusion, though with 80% of the people supporting the merger. Most of the terms were included in the constitution, though partly were also accepted on oral terms. The Constitution was then drafted, by the Landsowne Commission, as appointed by the British government which was essentially similar to the earlier constitution approved in 1957 for the independence declaration. The initial proposed date for the forming and official declaration of Malaysia as a nation was on the 1st of June 1963, which was then postponed to the 31st of August 1963; coinciding with North Borneo (Sabah)'s gain of independence on the same day from the colonial powers and also mainly targeted to be on the same date of the independence day; where that year marks the sixth year of Malaya being free of colonization. The date was postponed again due to the objections from both Indonesia and the Philippines; with Sukarno claiming that the formation was an act of neocolonialism and the Philippines pursuing the claim of North Borneo as part of them. The postponement also gave way to the United Nations who sent a team of eight to be formed to confirm the willingness of North Borneo(Sabah) and Sarawak in joining the new formation. This agreement sets the terms and conditions for the new formation of the federation; under one constitution and paved way for the Malaysia Bill, in which the constitutions of Sabah, Sarawak and Singapore were created with the agreement of all parties. The Malaysia Bill was then introduced to the Malayan Parliament on 9 July 1963 and was approved with the consent of the then ruler; DYMM Seri Paduka Baginda Yang Di Pertuan Agong (official salutation to the Malaysian monarch), Tuanku Syed Putra on the 29th of August 1963. 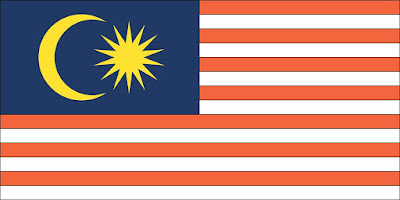 Malaysia was then officially formed on the 16th of September 1963. (Singapore withdrew from the formation in 1965). That would be the brief background of the formation of Malaysia and the explanation on the whole historical part of Malaysia gaining her independence and further her identity. Therefore 31st August or 16th September, if that is still not clear? With regards to the Peninsular Malaysia, both dates are valid as the Peninsular has always been that part of Malaysia from the very beginning and the gaining of independence is significant to the folks on this side of the country as the official date where they are free from the reign of foreign powers. It is that declaration of autonomy on that very day. It is a pretty coincidence that Sabah shares that same day of independence, though much later in 1963 (six years following the Independence gained by the Peninsular). Therefore, Malaysians on this side of the country (West/the Peninsular) are not wrong to send the national birthday wishes to mark the historical date and the celebration. The 31st of August is an important date symbolic to at least, most of the Malaysians. In most context it would lean more towards the gaining of independence; the day where Malaysia is on her own. This day celebrates Liberty, especially for the Peninsular folks. 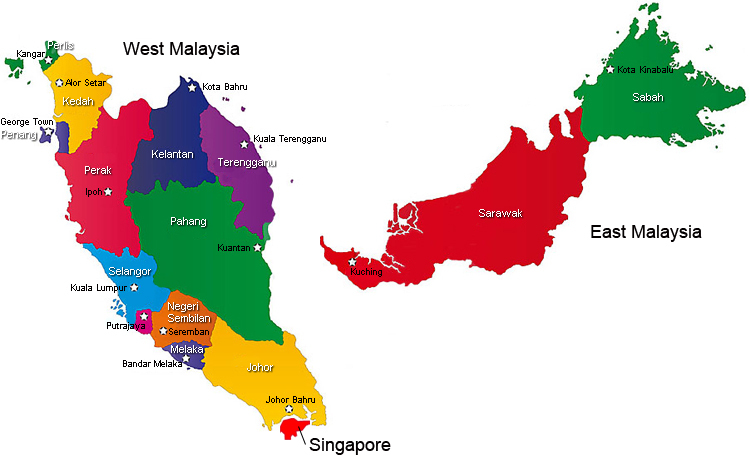 It is not wrong for the Peninsular folks because back then it was Malaya; all of the 11 states were known as Malaya and as a whole component. However, since Malaysia today really refers to Sabah and Sarawak as part of the nation, let's not forget about them. In that true context of Malaysia as a whole, then we are referring to the formation of Malaysia and that would be when our beautiful states of Sabah and Sarawak has officially joined us as a family, forming our East Malaysia. That would be the 16th of September. East or West or the Peninsular, we have all finally come together as one; and that is our Malaysia. That would be the day that we are one, the day that Malaysia has her identity - one that we come to know until today. One that includes EVERYBODY; when we are formally more than just the 11 states on one side of the country. We may be separated by the South China Sea, but we are still one big happy family and we are all Malaysians. So, in reference to the birthday for Malaysia, that would be the 16th of September. It would be more apt to say Happy Birthday to the nation on this date, and is more significant to the whole of Malaysia. I am a Malaysian and I am definitely proud to be one. Today Malaysia consists of 13 states and 3 Federal Territories. This is not a sponsored/promotional post, and solely based on author's personal opinions and preferences and do not represent the general public. All images link to their original websites/owners and I do not own copyrights to these images. They are only for illustration purposes.